Greenstone Materials – Orange County’s only producer of natural construction aggregates—primarily crushed stone, sand and gravel—and a major producer of recycled aggregates-based construction materials. Greenstone manufactures and sells a variety of recycled aggregates including Construction Miscellaneous Base (CMD), SE-30+ Sand, RD-40(structural fill material) and various sized crushed products. 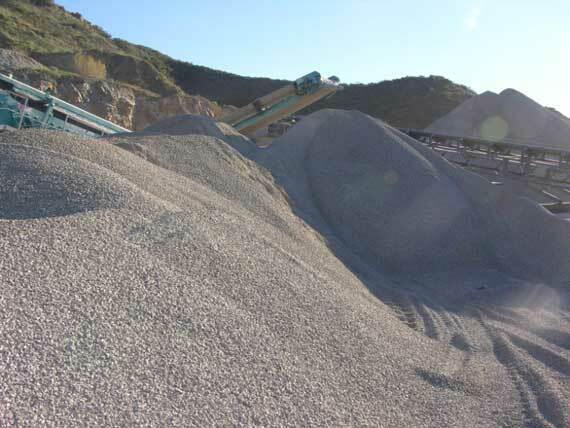 Greenstone manufactures and sells a variety of natural aggregates including Construction Aggregate Base (CAD), SE-30+ Sand, 3/8", 3/4" 1" crushed rock and construction exit rock (3"-5") products. Greenstone has a variety of landscape rock which can be custom ordered, including cobbles of various sizes (-4″, 4″-8″ & 8″+), decomposed granite (DG) and various size boulders (Sendero Fieldstone) ranging in 1ft increments from 2ft all the way to 8ft in dimension. 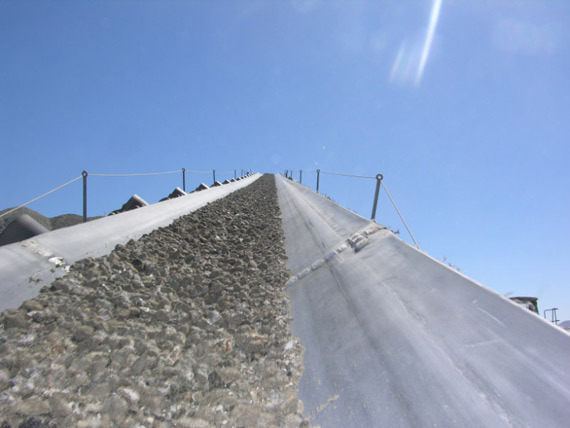 We accept clean (non-hazardous) concrete, asphalt and rock material. We offer 10, 20 and 40-yd bin services. We can deliver these bins to your residence and or jobsite and pick them up per your requirements. We offer a varietey of natural crushed rock (3/8, 3/4, 1" and 3-5") , rip rap, cobblestone, decorative rock, Sendero fieldstone and other custom products. We offer recycled aggregates including CMB (Construction Misc. base), SE-30 sand and (R-40 material) for structural fill and MSE walls. 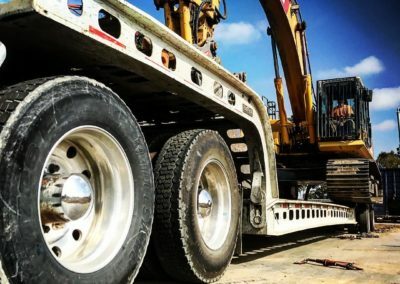 We offer semi-truck transportation options to deliver your products as well as low-boy (5-axle) and 7-axle)service for heavy equipment transport. Greenstone provides mobile crushing solutions. 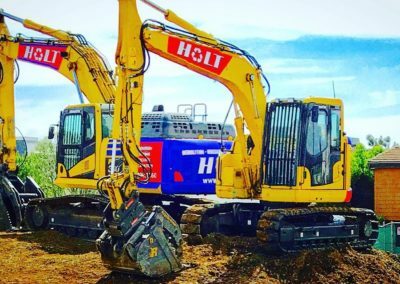 We can crush concrete and asphalt debris piles at your job site. Since 2005, Greenstone operates Orange County’s only natural rock quarry and is the preferred construction materials provider. 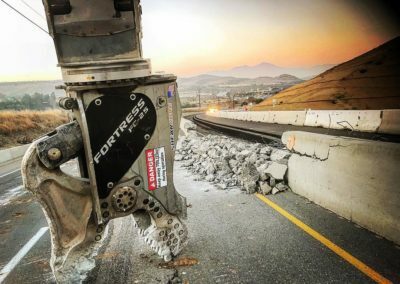 Greenstone is committed to improving the environment in which we all live in by providing efficient, effective and cutting-edge construction demolition debris (concrete & asphalt) and recycling services which not only reduce the impact on our world but also offer sustainable solutions to our most pressing environmental challenges. 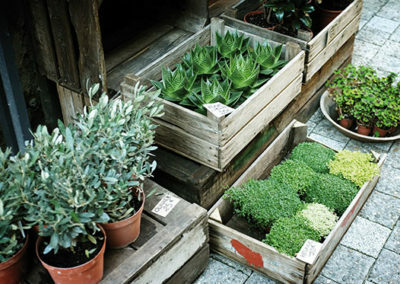 Greenstone is dedicated to finding ways to help improve our world by investing in the future; a future we hope will be cleaner, greener and environmentally sustainable. With a strategic presence in San Juan Capistrano, Greenstone aims to provide the most innovative, aggregates, mobile crushing and recycling solutions to meet our customers’ needs. Do you need help with materials specifications and use?